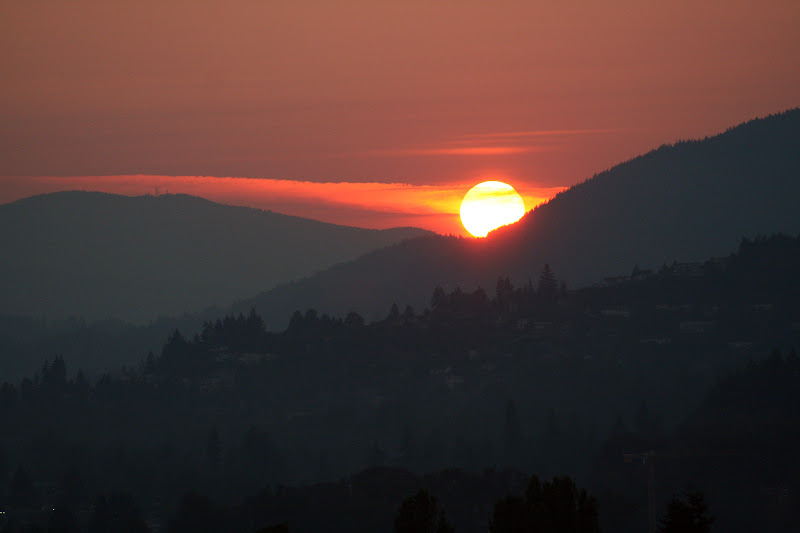 The smoke in the air from the forest fires is still providing us with some spectacular sunsets. 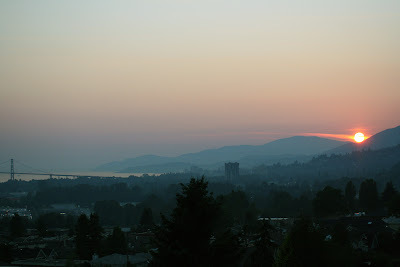 I took a couple of shots tonight with the sun going down over the mountains by West Vancouver, from my balcony in North Vancouver. Love the colours. And a wider (and a bit brighter shot). You can see Lions Gate Bridge as well. The news was saying there are 277 wildfires burning in BC at the moment, and there is no sign of rain until at least Thursday of this week. So I imagine we will be seeing these colourful, gorgeous sunsets for a while yet. The moon shows a lovely redish orange cast as well. I will try and get a picture of it as well tonight.